Anyway, today I want to share my faves from the category on their shop and this category is called Cheap Homecoming Dresses. It's a great option to share my thoughts on as it's a homecoming season here in Russia. Here are my top three choices which I found not thinking twice about choosing. Very nice options indeed. This navy lace here looks very natural for my country and resembles the Gzhel pattern. 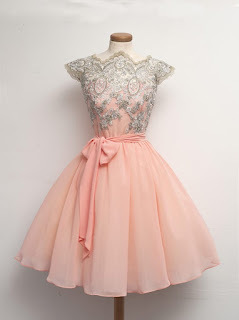 I find it a lovely add to my favorite silhouette and charming big tulle skirt. This little bow is adorable! I love it so much! In fact it reminds of a dress I bought with mom not long ago (and still waiting for t to be posted on my blog - I promise it will be very soon) but with laced details added it looks very formal and makes me immediately think of homecoming... oh stop That's a homecoming dress indeed. Great option! Black dress, little black dresses are superb and this one is a fine example of it. I'd say it's a great investment to your closet as it is versatile and pretty. Complementing almost each and every body type depending on accessory it will more or less formal. What a fine dress indeed! Which dress is your favorite? Do you have homecoming soon (it's a homecoming season after all)? Let me know what you think and don't forget to check the shop - I promise they have a lot more than just those three gorg. 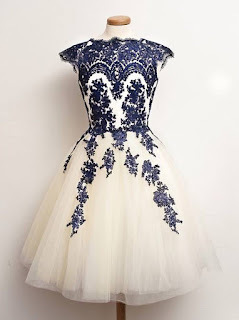 Love these dresses, I love the first one the best! 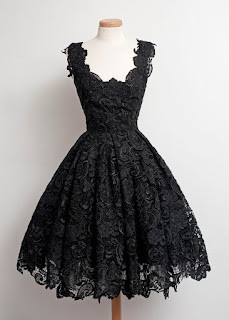 These dresses are so beautiful and romantic, I Love the black one!